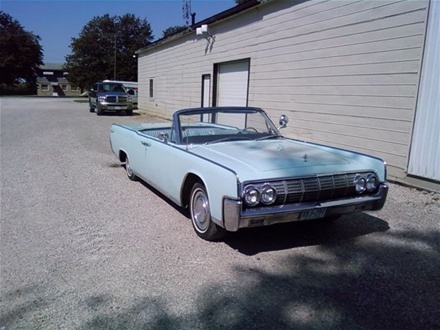 A local classic is this 1963 Lincoln Continental Convertible. 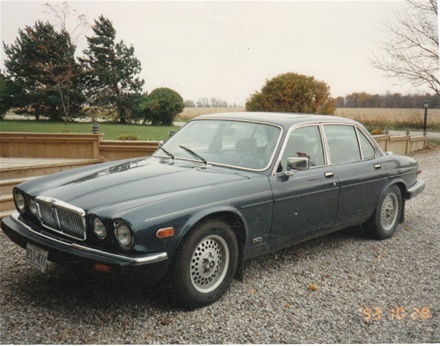 A rare classic indeed that required some mechanical restoration from John's Place. 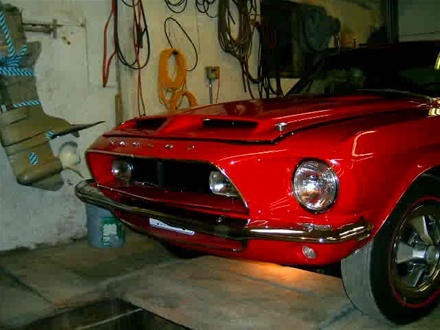 1968 Shelby as mechanical restoration begins. 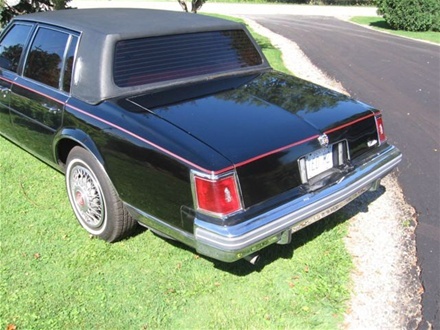 1978 Cadillac Seville 4dr Sedan. 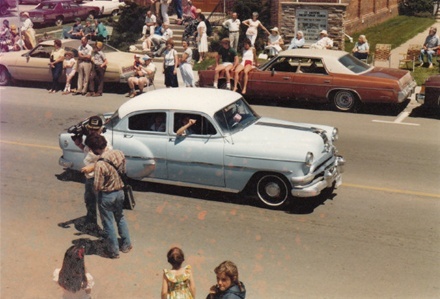 It's claimed that this car has appeared in Toronto filmed movies. 1954 Pontiac 4dr Sedan, flat head 6 cyl engine with standard transmission. Two tone paint, white with robin eggs blue bottom. 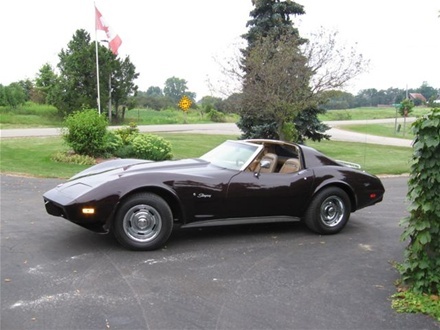 1975 Corvette Stingray a fully restored beauty that was part of the Chatham-Kent scene for many, many years. 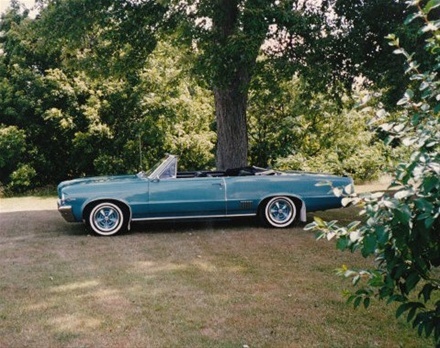 1963 Pontiac Parisienne Convertible. US made it was long and low and a very different look and ride. 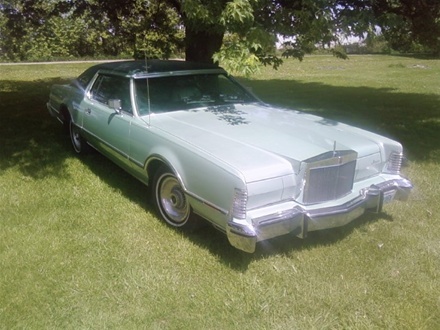 John's Place did some major mechanical restoration on this amazing 1976 Lincoln Continental V.
1986 Jaguar Sovergn a former local 6 cyl classic that was in as new condition but required some mechanical restoration from John's Place Inc., Dresden. 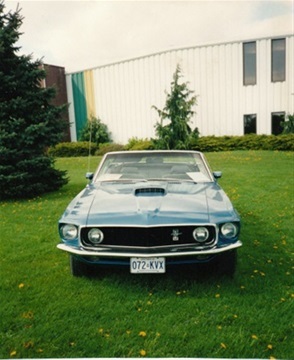 Front end view of 1968 Shelby. The had ground-up restoration by John's Place Inc. Dresden. 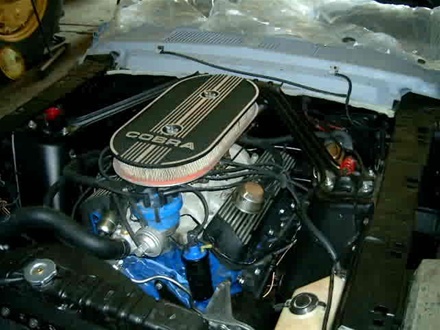 The engine block that powers the 1968 Shelby in at John's Place Inc for total restoration. 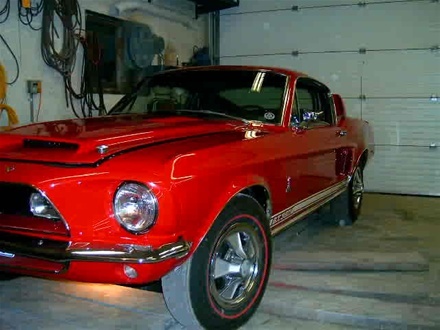 The finished 68 Shelby project is in the shop at John's Place Dresden for a final inspection before delivery to the customer can take place. 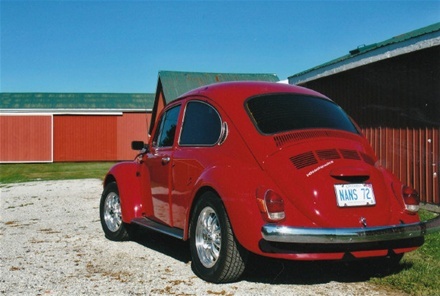 Always fun, this bright red 1972 Volkeswagon Beetle is a local classic. Another view of this 1972 Volkswagen Beetle that was in for some minor mechanical restoration at John's Place Inc.
1964 Pontiac Lemans Convertible finished in baby blue paint, is a rare find. Mechanical restoration work by John's Place Inc., Dresden. 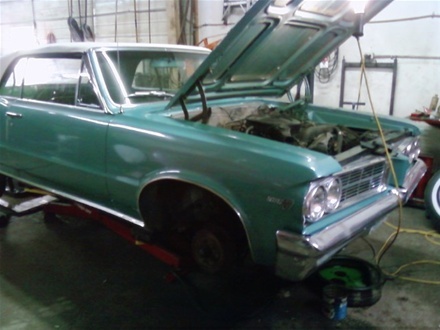 1964 Pontiac LeMans Convertible was on the receiving end of some mechanical restoration at John's Place Inc., Dresden. 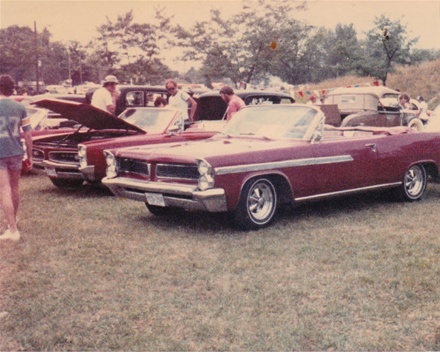 1964 Pontiac Convertible with white top up. 1969 Ford Mustang Convertible with scooped hood. A complete restoration made this car showroom perfect. 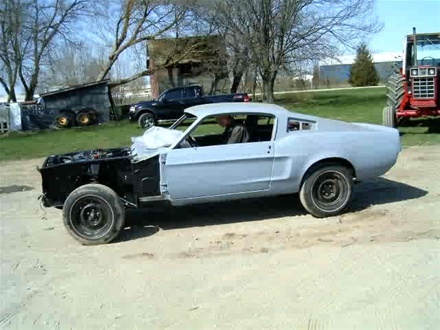 John's Place mechanical restoration services is concerned with quality and detail. How a car runs is just as important as how it looks. 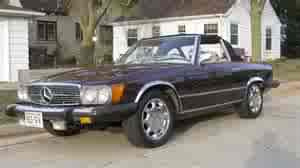 Attention to mechancial details can make all the difference on how much enjoyment you really have from your old classic car, your pride and joy. 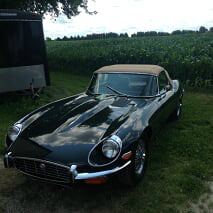 Mechanical repair work and routine maintenance, as well as problem diagnostic service, is also offered on antique and classic cars. All or any portion of your needs can be handled. Please call to discuss your project. 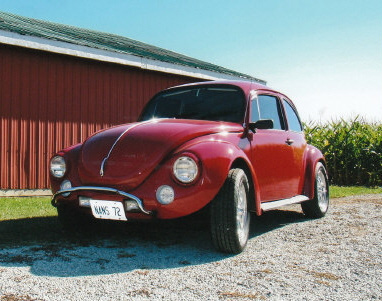 *Electrical Component Rebuilding *Carburetor Rebuilding for your "Classic Car". Pictured are just a few of the classic, antique or collectible cars and trucks for which we've performed mechanical restoration work. 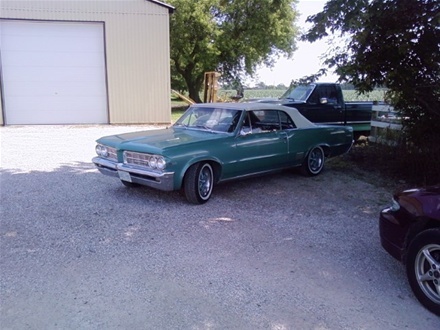 If we've worked on your old classic or collectible we invite you to drop by our shop with your car or truck photo so that we can include your pride and joy in our website CLASSIC CAR "PHOTO GALLERY. If you would prefer you may send us a photo by email to john@johnsplaceinc.com or unload your car photo by going to our Quest Book web page.